This is a synod year for the Free Reformed Churches of Australia. God willing, Synod Bunbury gets underway on June 18. While it’s being convened by the Bunbury church, the facilities of the Southern River church (Perth metro, WA) will host the proceedings. The deputies reports and proposals from the churches are now available (click on links to access). Let’s review some of the more interesting items on the agenda. Since I’m delegated to this synod, I’m not going to be offering my views or opinions — what follows are just the facts, presented as objectively as possible. Everyone will undoubtedly be watching what the FRCA Synod decides about the Reformed Churches in the Netherlands. The Deputies for Sister Church Relations are recommending the FRCA terminate this sister-church relationship. The grounds are: the RCN decided to allow women into all the offices of the church, by adopting the “New Hermeneutic” the RCN has turned away from the clear instructions in God’s Word and has shown unfaithfulness by lack of submission to that Word, and “there has been no adequate response, let alone repentance, to earlier admonitions.” Should this recommendation be followed, the FRCA will be the first of the RCN’s sister churches to cut ties. Related to all that, the Deputies of Theological Training are also recommending that the Theological University of Kampen no longer be considered a viable option for FRCA men looking for a seminary education. Meanwhile, proposals are being put forward to pursue ecumenical relations with other churches. A proposal originating with the Launceston church (and since adopted by Classis North of October 20, 2017) asks Synod to appoint a committee to investigate relations with the Southern Presbyterian Church and Evangelical Presbyterian Church. The congregations of these churches are found in Queensland, New South Wales, and Tasmania. Another proposal from the Southern River church asks Synod to do something similar with the Orthodox Presbyterian Church in North America. 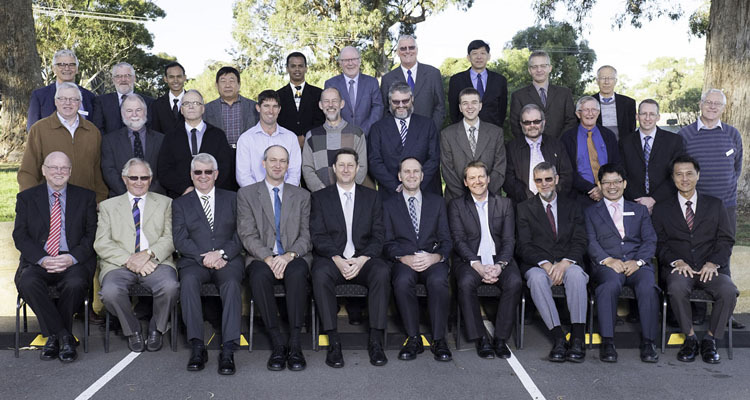 The FRCA have been entertaining the idea of establishing their own seminary. Currently, FRCA students are sent to the Canadian Reformed Theological Seminary in Hamilton, Ontario. However, in article 17 of the FRCA Church Order, the churches agree that they shall “if possible, maintain an institution for the training for the ministry.” The question: is it possible? The Deputies for Theological Training were mandated to investigate and report on the feasibility of establishing a seminary in Australia. As part of their work, they surveyed the churches. Half the churches believed it feasible, half did not. The Deputies themselves are divided on the question. Their report thus comes with two different recommendations. One is that a seminary is feasible in the near future and a plan should be put in motion to begin such an institution in 2021 (after the next synod). The other recommendation is that a seminary is not feasible at the moment, but may be in the medium-long term future (9-15 years). Version I — NKJV Bible translation in the liturgical forms and confessions, capitalized pronouns for God, FRCA Church Order included in book. Version II — ESV Bible translation in the liturgical forms and confessions, no capitalized pronouns, FRCA Church Order included in book. This breaks down into the same three sub-options as above. There is a third option, but the deputies were not unanimous on including it. Version III is simply the 2014 CanRC Book of Praise with each church also supplying every member a copy of the FRCA Church Order. The deputies have also recommended a name for the new song book: Sing to the Lord: Anglo-Genevan Psalter. In addition to the Deputies’ report, there are also proposals from the churches regarding this matter. Rockingham has put forward several proposals to change the rhyming of some of the psalms. Southern River has a proposal to adopt all 19 of the extra hymns found in the 2014 Book of Praise. There are other matters on the agenda, but those are some of the most noteworthy. In the weeks ahead, FRCA consistories will be reviewing the reports and proposals. I imagine Synod 2018 will be receiving numerous letters from the churches interacting with all this material. It’s certainly going to be interesting! This synod has the potential to be a turning point for the FRCA.